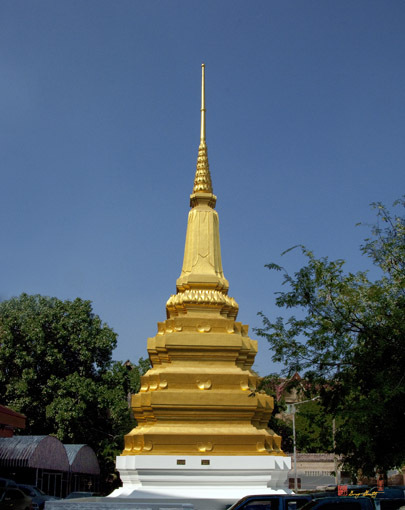 Wat Phraya Yang (also spelled Wat Phrayayang), วัดพระยายัง is a civil temple built during the reign of King Rama III, around 1847 (BE 2390), by Phraya Mahaniwetsananurak (Yang Raktaprachit) the grandfather of Princess Woralaksanawadi, royal mother of King Rama V. Therefore, the people called the temple Wat Phraya Yang. 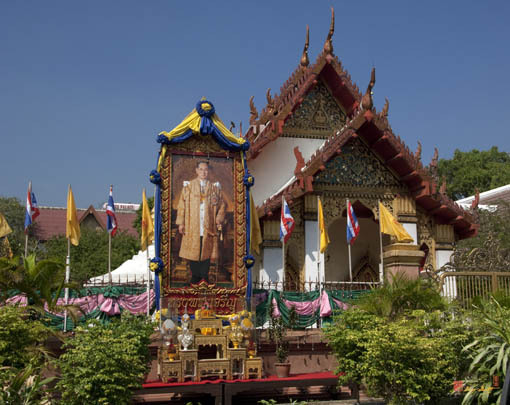 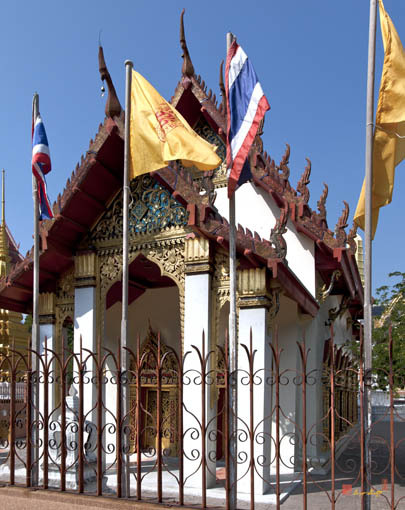 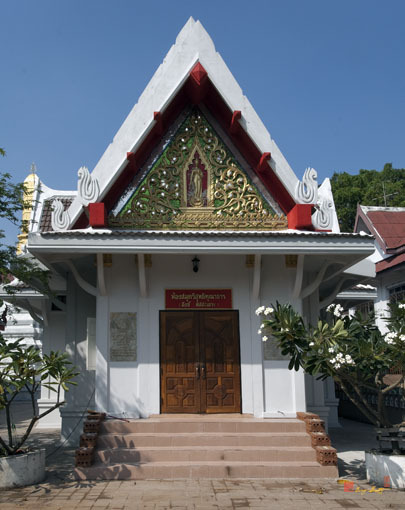 The Ubosot (main chapel) of the temple was built in Thai architectural style with gilded and mirror-decorated door and window frames, and lacquered gold leaf doors and window shutters. 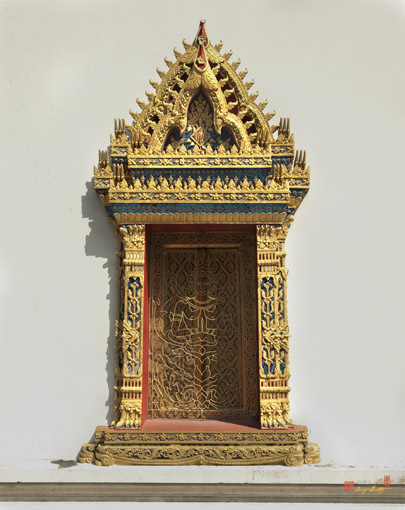 The floor is made of polished stone and Ubosot has a wall around it. 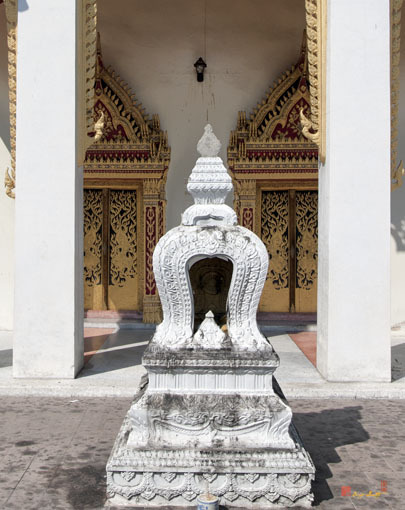 The principal Buddha image inside the Ubosot is in the Sukhothai style. 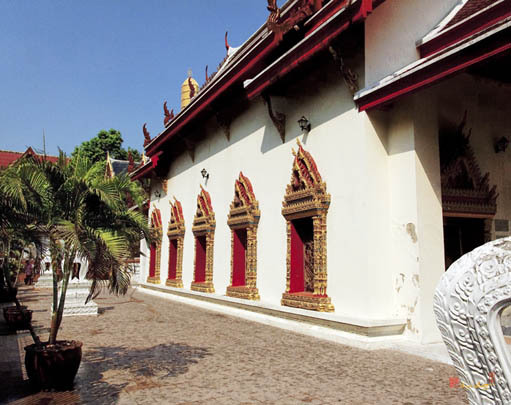 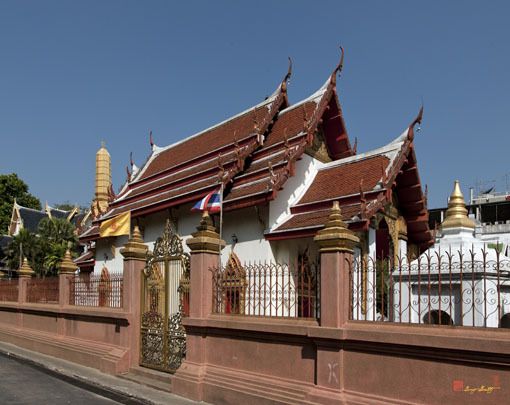 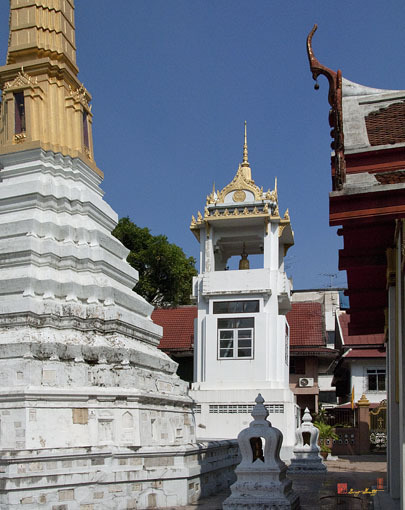 There are two chedi (pagodas), a Burmese style chedi built to cover the broken Buddha images on the site of the original Ubosot and another chedi similar to that of the Wat Arun Ratchawararam stupa is for housing urns of lay people. 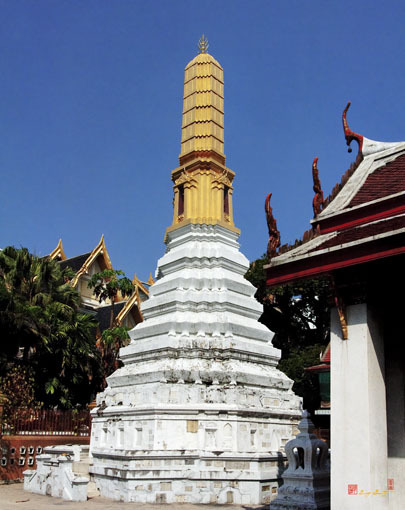 At the top it is decorated with Buddha images on all four sides.